Sometime back we announce a new forum software for Crunchify readers and for our client. It’s now open for all developers and bloggers if they want to get instant answers for any query they may have. I personally very fond of high knowledge rich forum. Please visit https://ask.crunchify.com to get started. You do have options to login using Facebook, Twitter, Github or Gmail ID. As you know Discourse is very popular forum software among all latest tech companies, we thought of giving a try. Also, it’s open source. How to configure Mailgun Email Server on your Discourser Forum correct way? How to install Discourse Forum on Linode VM in ~10 min? Discourse forum basic setup went perfectly fine. It was simple. I used Linode as our hosting service provider for our client. Linode comes with special Ubuntu 14.04 LTS image which was straight forward. Once you install and setup Discourse on Linode, it’s very important to have email service setup correctly. To be honest, it took me long time to figure out how to setup Google App’s SMTP relay correct way in setting file discourse.conf. 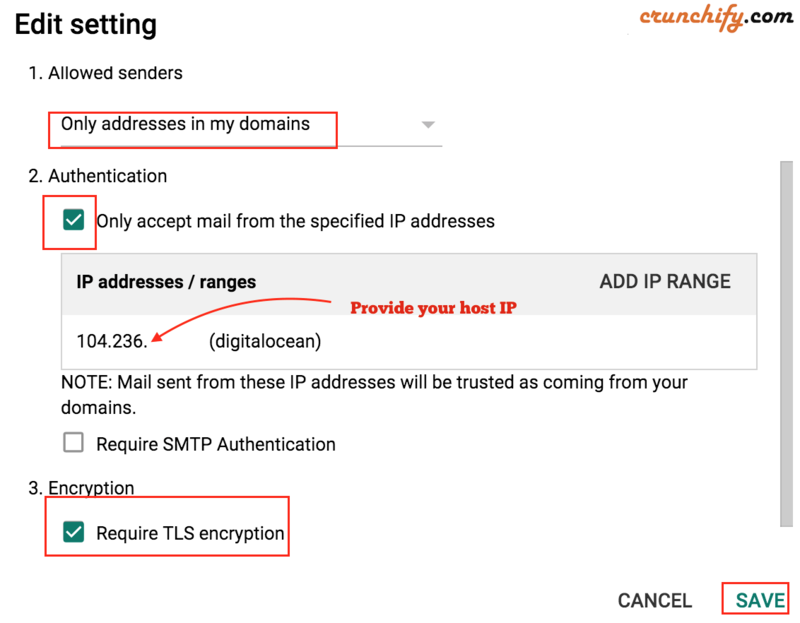 In this tutorial we will go over detailed steps on how to setup email service correct way if you are google App users. If you have any of below questions also then you are at right place. How to edit e-mail settings for Discourse? 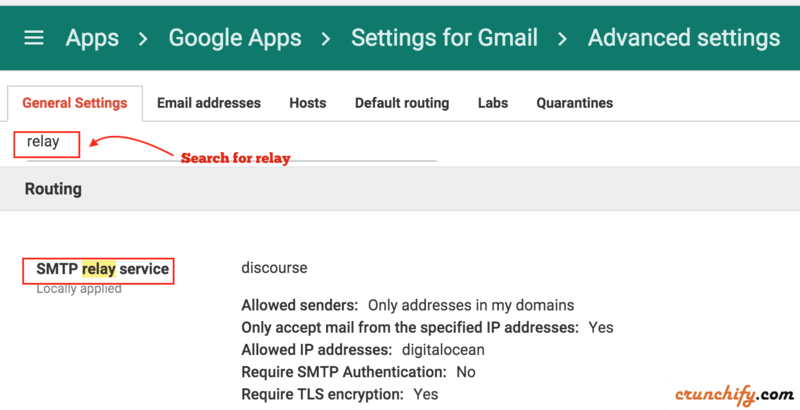 How to setup Google App SMTP relay service? Save your setting and initialize restart of your discourse application. Your email service should be configured correct way now.